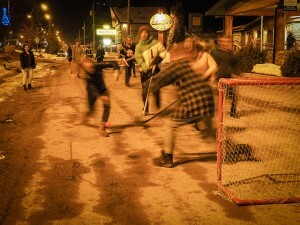 One of the fondest childhood memories most people who grew up in Canada have is grabbing all your neighbourhood friends, setting up some nets on the pavement outside your house and playing street hockey until the street lights came on. If someone spots a vehicle that might disrupt the group, it is their duty to yell “CAAARRR” as loud as possible to inform the players, prompting everyone to haul their designated gear to the side until it is safe to play again. It’s also regulatory rules that the if the ball is hit into a yard, house, or window, the culprit is required to retrieve it themselves. The game usually ends around dinner time when the player count has been thinned out by curfews or parents calling them in for food, and teams don’t have enough people to play. Street hockey – also known as road hockey or ball hockey – is a game enjoyed year round by people of all ages. Whether it be hockey players wanting to keep their skills fresh or groups of friends wanting some good, competitive fun, the game allows people to enjoy the beloved sport and not be limited to indoor arenas or frozen ponds. No one is certain when exactly the game was ‘invented’, but it is believed to have started around the turn of the 20th century when wealthier North-American neighbourhoods started paving their streets. The sport picked up speed in the 70’s when the ‘No Bounce Ball’ was invented by Raymond W LeClerc. Rules and regulations started being established and it became more and more popular. Mr. LeClerc even went on to build a site with 3 outdoor arenas in Leo-minster, Massachusetts which prompted the development of leagues and tournaments across North America. 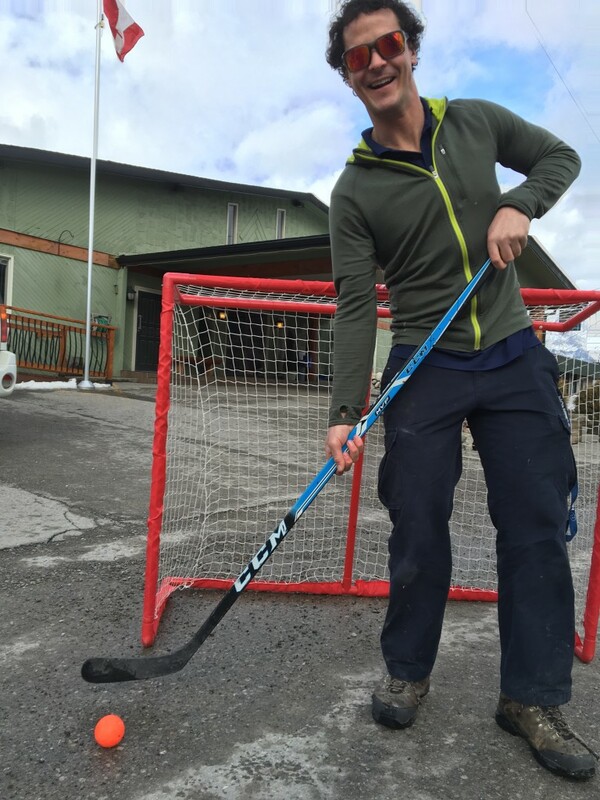 Here at the Red Tree Lodge, we love street hockey and of course sharing it with our guests! Our sister company – Nonstop Adventure – is run out of the lodge, and brings people from around the world to enjoy the winter season in Canada while becoming ski and snowboard instructors. We love giving the full Canadian experience to our guests, so introducing them to activities that we grew up with is something everyone enjoys. Street hockey is always quick to become a favourite activity and they are even able to set up right in front of the lodge! 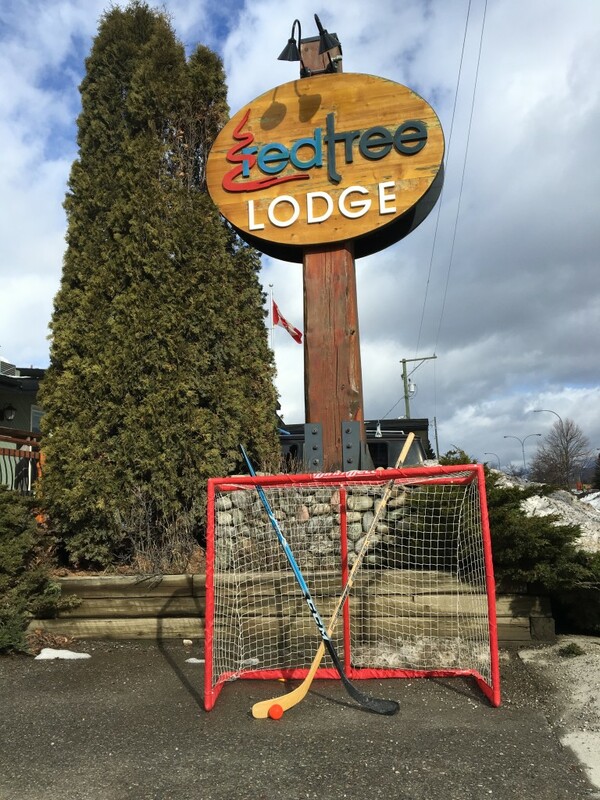 Next time you stay with us in Fernie at the Red Tree Lodge, be sure to come borrow some of our equipment; we can provide you with sticks, nets and balls. Who knows, maybe we will even join in with you…Game on!